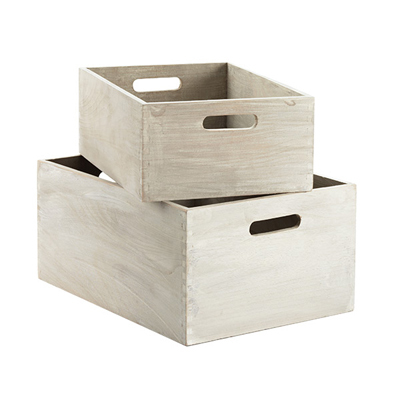 The understated style of the Whitewashed Wood Bins is just perfect for those times when you want something simple yet elegant to help you get organized. Use these bins in the home office, closet, family room – anywhere! $14.99-$24.99. Buy here.